We, as wine enthusiasts, have a certain passion for life. A passion for having unique experiences, making discoveries and then introducing and sharing those discoveries with our friends and family. We in the wine business are a lucky bunch. We have the delightful responsibility of keeping abreast of trends in the industry. This often requires us to travel to different regions visiting vineyards, meeting with fellow winegrowers and tasting wines. Small wineries like to help each other by sharing what we’ve learned. We really don’t see each other as competition, but rather brothers in arms trying to battle against Mother Nature in the vineyards and tame the mysteries of biology in the cellar. We know that there’s plenty of space in the world for great wines from different places. We all share the common bond of trying to emphasize the uniqueness of a particular varietal, grown in a particular place. It’s this last idea, a particular varietal, grown in a particular place that is the cornerstone of a new series of wines we’re bringing exclusively to our Wine Club members. As part of our education we’ll blind taste five wines from five regions. For example we’ll taste Chardonnay from our estate, from wineries in Santa Barbara, Monterey, Napa and Sonoma. What we’ve learned over the years is that there is no single best Chardonnay. There can be many best Chardonnays, just from different regions. Each is a unique expression of Chardonnay because of the terroir from the place it’s grown and the way that the winemaker chooses to emphasize that terroir. A vineyard view of the Santa Rita Hills. Our new Explorer Series of wines will give our Wine Club members the same chance we at the winery have had to examine wines that are grown in other regions. Behind the scenes we’ve been partnering with growers and a custom crush winery up North to grow grapes and produce wines to our specifications. We’ve been making these wines at the highest quality level to deliver to you archetypal examples of a particular varietal, grown in a particular place. Each wine will be only be available for a limited time in limited quantities and then we’ll move on to another varietal from another place. 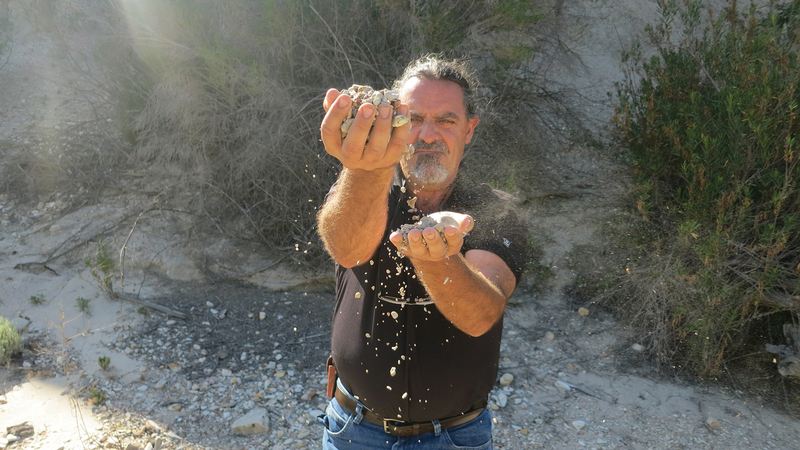 Vineyard Manager Greg sifts sediment with his hands during a coastal wine country trip. 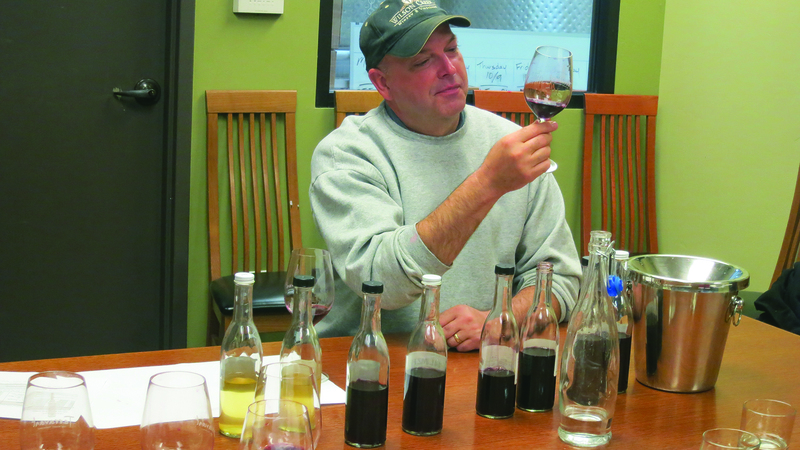 Wilson Creek’s Winemaker, Gus, sampling wine during a recent trip to the coastal wine country. You will have fun comparing and contrasting the wine with a wine we already make here from our estate, like Chardonnay. In your special release July shipment you’ll get our 2014 Russian River Valley Chardonnay which is an archetypal cool climate Chardonnay. This wine will be exciting to compare to our brand new barrel fermented 2014 Family Reserve Chardonnay from our estate. We bottled both of these wines this past May and we think they’re both going to blow you away! In other cases we’ll share with you a wine we don’t, or can’t, grow here at Wilson Creek – like Pinot Noir. 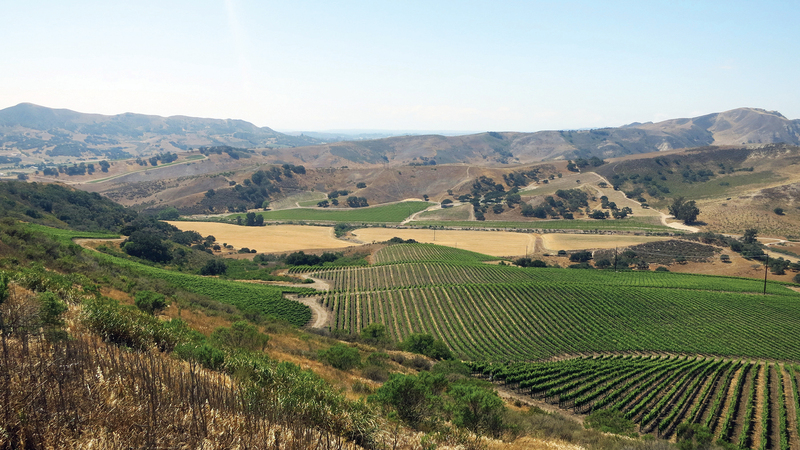 Our Mediterranean climate isn’t well suited to growing Pinot fruit, so we’ve sourced some of the best stuff out there from Santa Rita Hills in Santa Barbara. The cult wines from this region are some of the most highly rated and you’re going to love our 2012 Sta. Rita Hills Pinot Noir. It’s taken us some time to get these wines together and you’ll see more of them in the fall. Without giving away all our secrets, get excited to taste things like intense and powerful Petite Sirah from the Sierra Foothills, crisp and fruity Sauvignon Blanc from Santa Barbara, Sparkling Shiraz just in time for the holidays, and even an Oakville Cabernet around a year from now. We hope you join us on this journey of exploring great wines from great places! This entry was posted in Wine Musings and tagged coastal, Explorer Series, journey, Temecula, terroir, Wilson Creek Winery, Wine, Wine Club Members, Wine Country, winemaking. Bookmark the permalink.